It’s been over 3 years since Fates released in Japan, but fans have still been waiting for a fully-fledged artbook similar in vein to The Art of Awakening or the more recent Valentia Accordion. A recreation of the teaser featured in the fan books. The wait continues, but there’s now a visible light at the end of the tunnel. 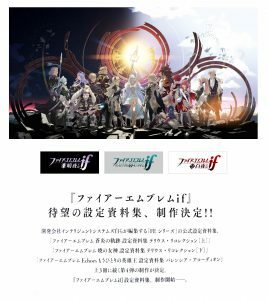 Because we finally have confirmation that a Fates artbook is actually happening, from the most unlikely of sources: the Takumi and Leo fan books released on 31st August. Towards the end of the books, there’s a teaser for the Fates artbook from the same team behind the fan books, as well as the Tellius and Valentia artbooks. All it says is that “production [of the Fates artbook] is underway”. A big thanks to @theprinceofiris for the heads up–and Japanese fans for sharing this information. Back in March, Kozaki Yusuke–the artist of Fates–mentioned that he’s hoping to finish the Fates artbook before the end of 2018. However, judging from the wording and the timing of the teaser, the chances of that happening seems slim: expect a 2019 release. 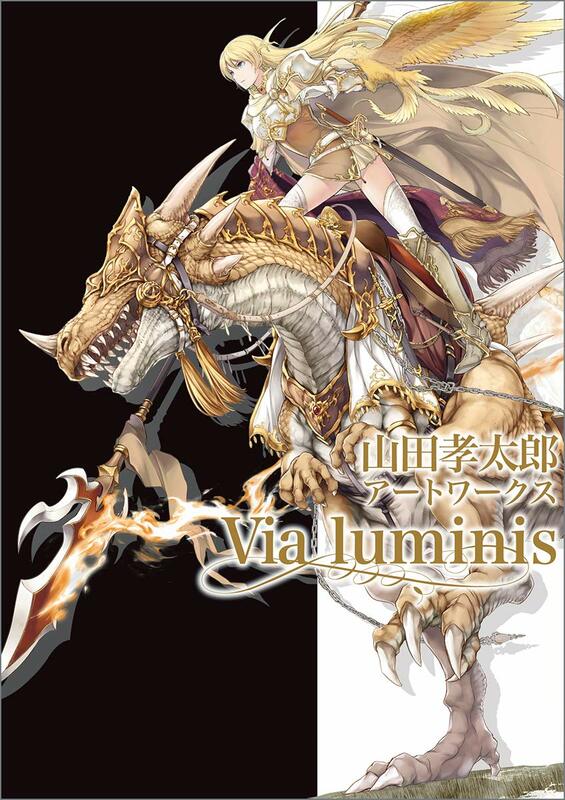 The cover art appears to be of an original character inspired by Fire Emblem. If you’re hungering for some Fire Emblem art goodness sooner rather than later, all hope isn’t lost. 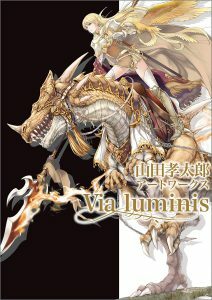 On 22nd September 2018, “Via luminis“, an artbook dedicated to the works of Kotaro Yamada will be released in Japan. This 128 page artbook features art from over a dozen franchises that Yamada has worked on, including Fire Emblem. For reference, Yamada has contributed to Heroes and Cipher, and he was also the author of the Binding Blade manga, Hasha no Tsurugi. Currently, the book’s exact contents are unknown, but as an educated guess, there ought to be at least 10 pages of Fire Emblem–and you can bet that Narcian will be among them. Hopefully there’s this Cipher art of the Hasha no Tsurugi crew as well.